Can Health Risks Be Detected with an Eye Exam? The eyes are a window into your overall health and an annual eye exam can help keep tabs on what’s going on in your body. Diabetes—when blood is observed at the back of the eyes, it is one of the first indicators of diabetes. During an eye exam, diabetes is oftentimes detected well before someone would have had a blood test to check for the same problem. Brain tumors—tumors cause swelling in the brain. Swelling near the back of the eyes causes changes to the optic nerve that your doctor can detect before it becomes dangerous. 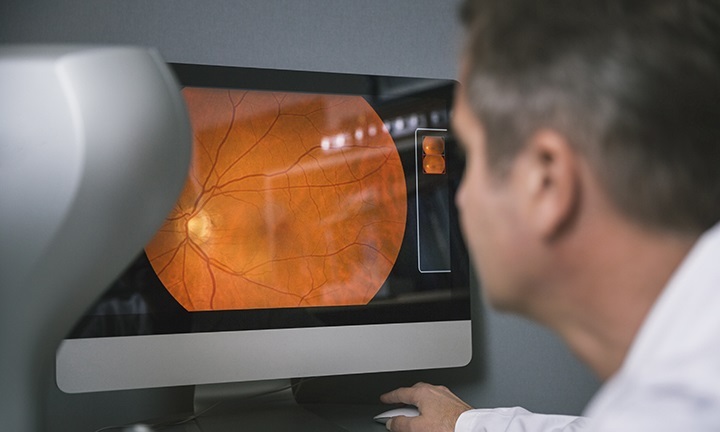 High blood pressure and stroke—inflammation of blood vessels at the back of the eyes is a clue for your eye doctor about potential high blood pressure. Sudden vision changes could also mean a stroke perceived as a “malfunction” in prescription glasses or contacts. Arthritis—autoimmune diseases, like rheumatoid arthritis, cause inflammation in the joints and, in many cases, your eyes as well. Cancer—maybe surprisingly, freckles—yes, like those on your skin—form at the backs of your eyes due to sun exposure over time. Sometimes they develop into cancerous patches that your doctor can remove early on. STDs—when syphilis goes undetected, your pupils eventually become two different sizes. The difference might be subtle and is better spotted when pupils are dilated during an eye exam. Vitamin deficiency—drops in Vitamin A in your body cause physical changes in your eyes. Long-term deficiency poses problems to your health and eyesight. So, if it’s been awhile since you’ve last visited your eye doctor, then use your VSP Individual Vision Plan to schedule an eye exam today. If you don’t have vision insurance, find out how VSP can help you save on your next eye exam or pair of glasses.